Christmas may be over but the holidays are not. December 26, better known as Boxing Day is celebrated several different ways across the world. The origins of the day have been debated and traditions vary from country to country. In the United States the holiday is not fully acknowledged, however traditions have evolved over time and include: after holiday sales, a day to give back and in a few US States it is observed as an official state holiday. In Britain it is officially celebrated as a bank holiday, thus meaning banks, government offices and post offices are closed. Today may not be a bank holiday for us, however this week we found how the historic architecture of former banks is being used. The building located at 918 17th Street, Denver Colorado formally home to the Colorado National Bank Building in 1915. Today it has been restored and is a functioning hotel. 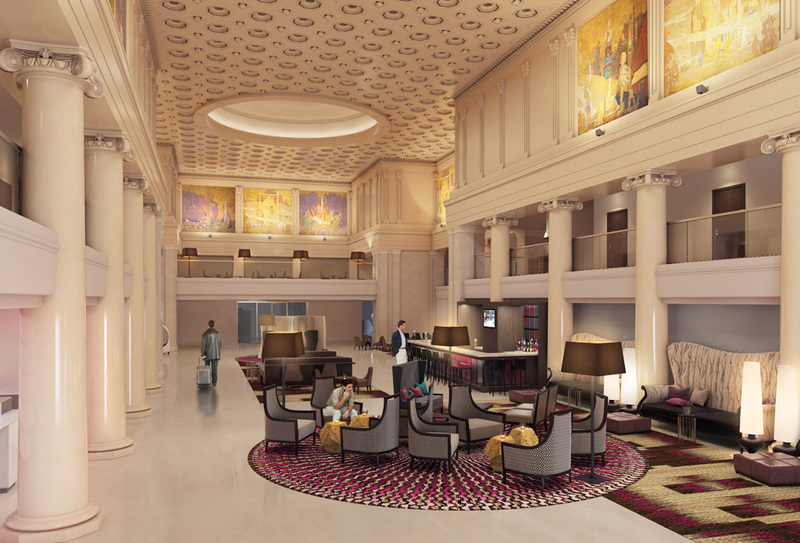 The building features a three-story atrium with white marble colonnades and 221 guest-rooms. The building known to some as the Crown Jewel of Wall Street, formerly housed the Bank of Manhattan Trust before being purchased by Donald Trump in 1995. It was constructed in 1929 and for a short period of time was the tallest building in the world, before being surpassed by the Chrysler Building. Today the historic building is home to the Duane Read flagship store. 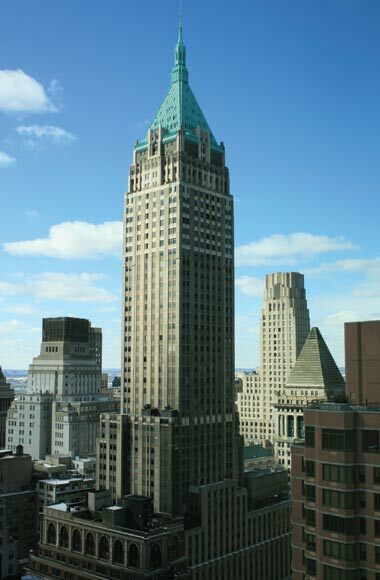 It was award landmark status in 1998 by the New York City Preservation Committee. In the 1920’s The Bedford, located in Wicker Park Chicago was formerly Home Bank & Trust Co.. Today the historic piece of architecture has been restored and is known for it’s unique dining options. The lower-level space features terracotta, marble and terrazzo, reclaimed and restored from the original bank. 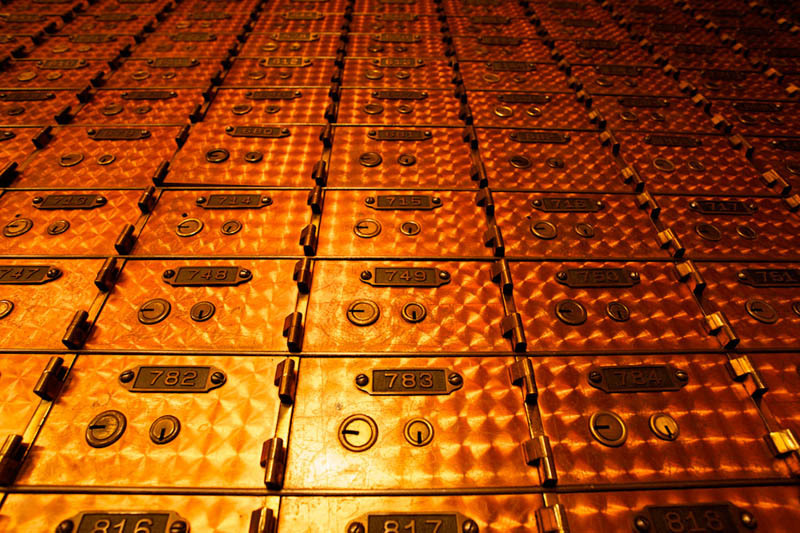 The bank’s vault room has been converted into a cocktail bar and includes 6,000 working copper lock boxes. In 2008 the building received landmark status.